Yoga legends have often stressed on two things when it comes to reaping the benefits of a Yoga practice – the first is a dedicated discipline, and the second that Yoga should be practised uninterruptedly over a certain period of time. But what urges a person to return to the mat constantly and live by the 8 limbs of Yoga? Simply put, it is the intention for their practice. 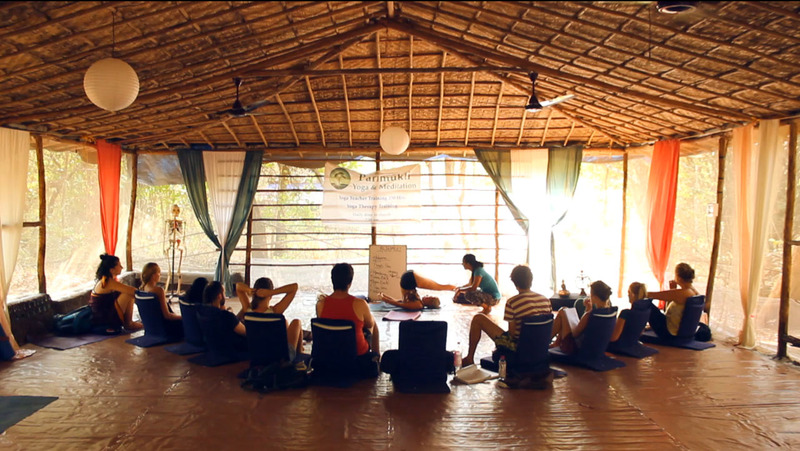 And setting this intention is the crucial foundation for the courses at Parimukti Yoga School. Merel Martens, the founder and lead trainer of Parimukti Yoga School had always envisioned working in a field where she could help people be healthy – physically and mentally. After her studies in Medicine and International Public Health in the Netherlands, she went on to work in international public health as a health systems organisation consultant in Western Africa. The job brought along with it a phase of much stress and left Merel feeling rather uninspired, alongside questioning the true impact of the work she was doing for the organisation. ”I was already practising yoga by then and felt the immense benefits of it for my own body, moods, emotions and mind. I realised that that is what I can do: take care of myself first and foremost and ‘help’ others by creating a space for anyone to heal themselves.”, she says about discovering that Yoga was the answer to health and happiness. This led her to complete her teacher training in Ashtanga Vinyasa Yoga with the three of the earliest teachers in the Netherlands – Johan Noorloos, Anat Geiger and Marcel de Vis. Merel Martens, founder and lead trainer at Parimukti Yoga School. Post her Teacher Training, Merel gave up her career in International Public Health and had split her time between working other jobs and teaching Yoga in Amsterdam. She also started to travel often to India to learn and practice more Yoga. 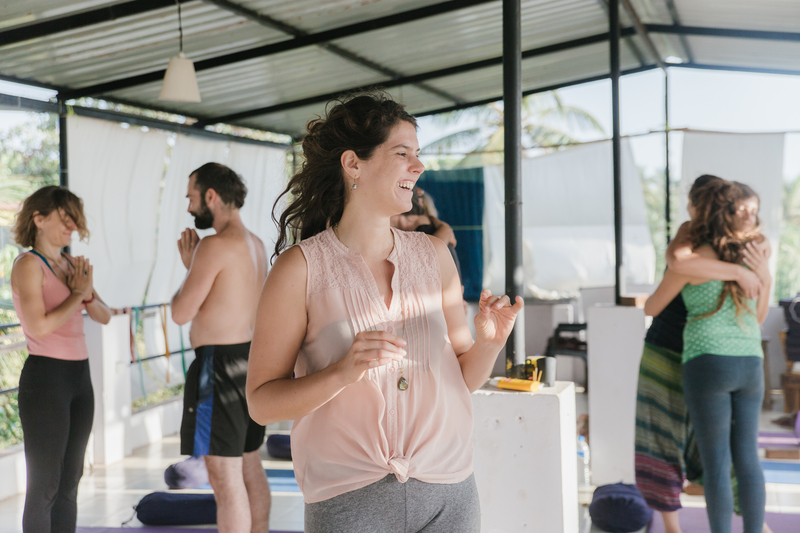 But the birth of Parimukti Yoga was a gradual one, as Merel shares, ”By the time I had been to Goa, India a few times and understood that it was possible to live there while teaching yoga. I decided to try for a winter season. All fell into place once I arrived there. I started collaborating with an Indian yoga teacher and jointly we would organise Teacher Training. 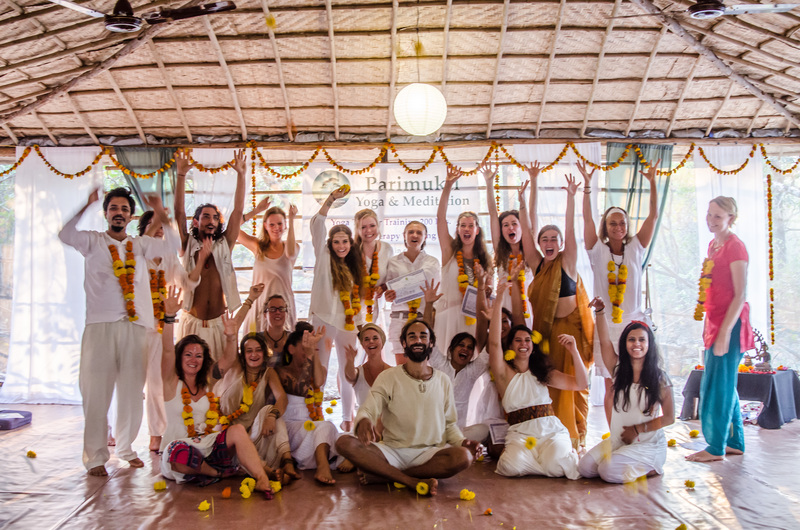 Gradually I developed a specific curriculum and approach to the TTC’s and continued on my own.” This was also how Merel founded Parimukti Yoga School which now hosts Yoga Teacher Training and other courses in Arambol, Goa & Alentejo, Portugal. Parimukti Yoga School offers 200 hrs Yoga & Meditation Teacher Training and 300 hrs Yoga Therapy course. The courses follow the tradition of Krishnamacharya and are based on the eight fold path of Patanjali’s Yoga Sutras. 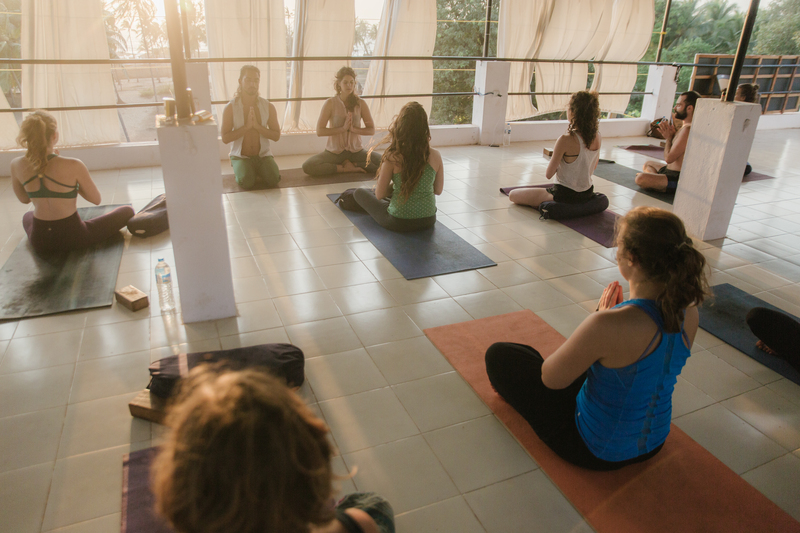 The 200 hrs course is aimed to provide the student insight into asana, pranayama, meditation, mantra, alignment, yoga anatomy and philosophy, while also introducing Ayurveda. The six days a week intensive course is designed to give the students the basic foundations of Yoga. ”We don’t teach one particular tradition and that is sometimes scary for students, as they really want us to tell them ‘what to do’! Although initially, they might feel a bit insecure, in the end, they all come up with well thought out classes that are highly authentic and rooted in their own experience rather than a copy from another teacher’s class.”, shares Merel about how students are allowed to cultivate their unique presence and teaching style. Developing your own authentic teaching voice. Also included in their courses are shared accommodation and 3 vegetarian meals a day. Parimukti Yoga also offers Yoga scholarships and to avail this, one has to simply write them an e-mail. Parimukti Yoga also offers online courses through their online academy for those who can’t travel to their locations. Currently, their Online Anatomy & Physiology Course is a 10-week course which has instructional videos and questions & answers. This course, which emphasises on a self-paced study, focuses on understanding the physiology and anatomy of the human body, while also studying modern diseases and how one can prevent them through Yoga. There is also a course on meditation in the pipeline. ”We are at the moment working on an online meditation training to understand what mediation really is – we teach about meditation and give a number of different meditations to do and experience. Anyone can roll in at any course and the duration is between 4 weeks to 3 months.”, explains Merel. Teacher Trainees and lead trainers at Parimukti Yoga School. All intensive teacher training courses assist aspiring Yogis to have transformational experiences and Parimukti Yoga isn’t far behind in nurturing this. Merel reflects that this transformation happens through their asana classes, meditations, group and sharing circles. Although each student is on an intensive schedule, they are allowed the time to think and reflect about their lives and thought patterns. Sometimes the change is instantaneous, and sometimes organic over the duration of the course. The knowledge about the practice of Yoga and meditation facilitates this change and allows every student of Parimukti to carry the light of Yoga further. For more details about Parimukti Yoga School’s course dates, schedule and prices, please visit their website.